This year’s Northeast retreat in New York was spectacular! The venue was situated on Grand Island directly on the bank of the Niagara River that flows down to Niagara Falls. All of the retreat attendees had east facing rooms overlooking the river so we were able to greet Surya each morning from the balcony of our rooms. Surya practice sessions were held on the grassy lawn by the riverbank with the sun coming up over the trees and the birds singing in the nearby trees. The well-fed squirrels joined us and stayed nearby hoping for a treat. Yogiraj blessed all the retreat attendees with his powerful transmission and an especially enlightening satsang on the “Molecular Mind”. The Benefactor retreat attendees reaped the reward of a smaller group experience and were graced with the Alchemical Tea and a wonderful spiritual experience only given by Yogiraj. The group took an outing with Yogiraj to see the American side of Niagara Falls on the “Maid of the Mist”. 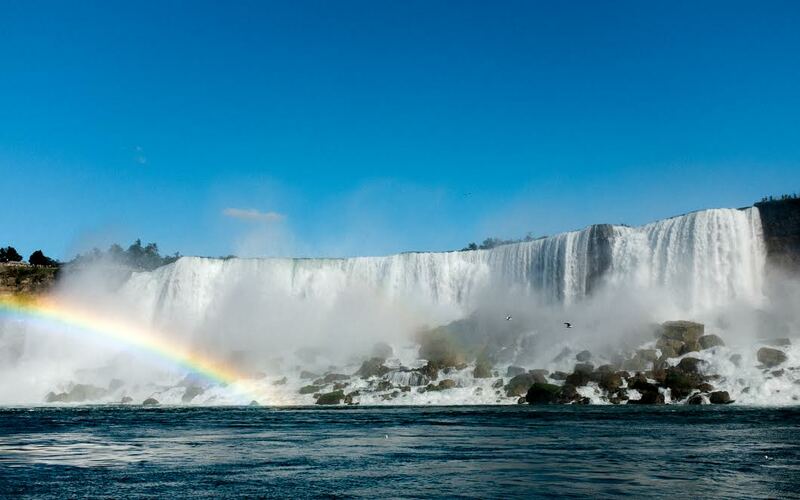 We saw the American Falls with numerous rainbows and one full rainbow which seemed to fall at Yogiraj’s feet. The boat went so close to the horseshoe-shaped Bridal Veil Falls that everyone got thoroughly re-energized by the raining mist from the falls. The experience was one of a kind and it was a true blessing to be able to attend this retreat. Yogiraj will be back in Europe, the U.S. and Canada in the spring and summer of 2019! You can join him now at events in India! Learn more at our Siddhanath Events Page.